1 Way 8mm Inlet - 6.3mm outlet BBQ tap with Quick Connection - GAS IT Leisure Gas Bottles, Gas Cylincers and Gas Tanks - Catering, Motorhome, Campervan, Caravan, Farrier and Road Repair Refillable Gas Solutions. 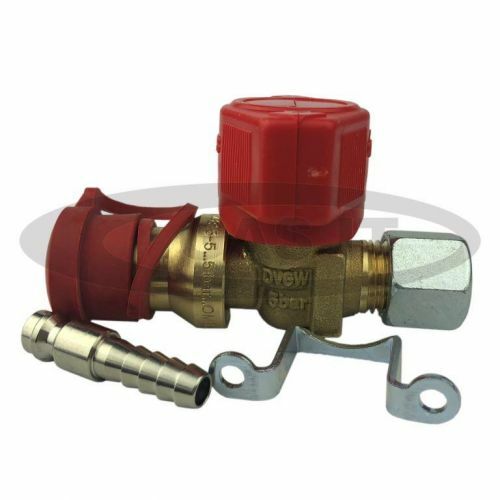 1 Way Tap low pressure Manifold with quick connection and outlet pipe conector for use with external points e.g. Gas BBQ or Patio Heater. 8mm copper Inlet. 6.3mm rubber outlet on removable barb fitting. Over-lock turning tap head means you can't open and shut tap without knowing you are doing it.